Nancy Howard is a cat lady on a mission. 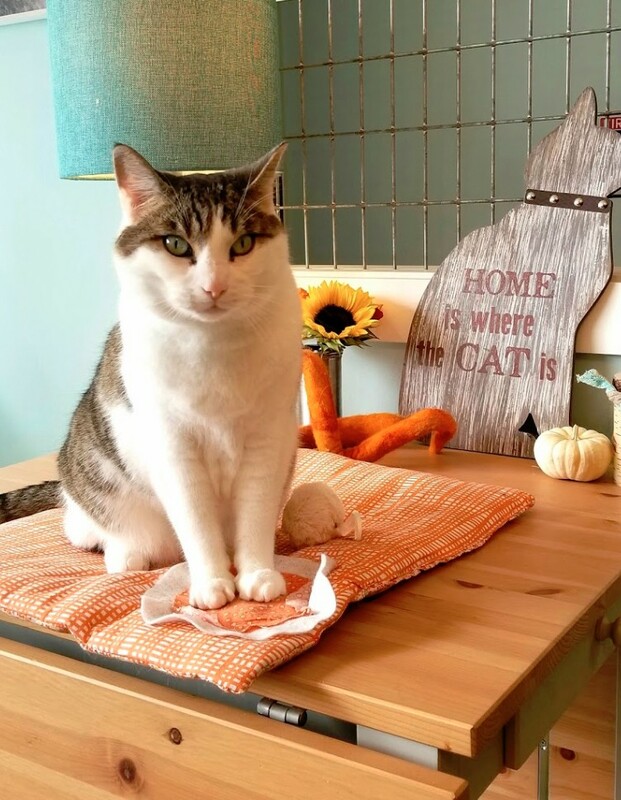 Founder and owner of The Whole Cat and Kaboodle in two locations--Kirkland and Redmond--and the Cocoa Cat Café in Redmond, Nancy believes "every home should have a cat and every cat should have a home." 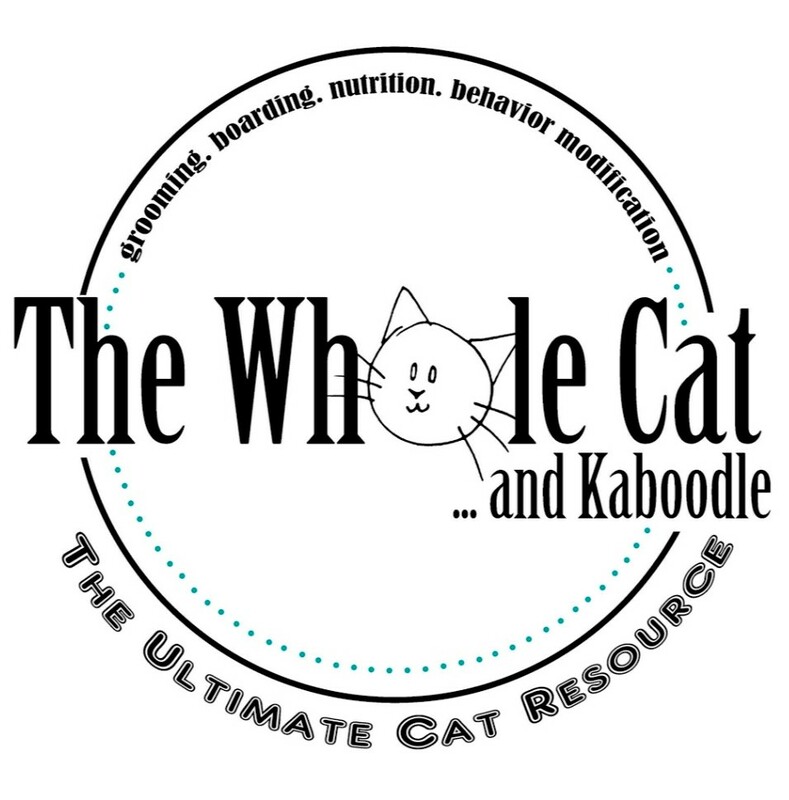 In addition to retailing cat food and accessories, providing classes such as "make your own cat toys," $5 cat pedicures, grooming plus boarding Cat and Kaboodle works hard to find permanent homes for cats, and the business funds a sanctuary for cats that are not adoptable. Nancy is a foremost local expert on cats and their care, with a passionate focus on the health and happiness of the felines and their families. I was excited to present "Building Your Network – It's Just Good Business" at Nancy's "Purrfessionals Night" at the Cat Café for veterinarians and their assistants and office staff, groomers, volunteers and other providers of services and products for pet owners. The presentation included a workshop on network diagnostics with this tool from Lasting Impressions. When you use the diagnostic tool, I encourage you to expand your thinking, pets can introduce us too! Nancy and I became connected through Bentley, my cat! I am a customer for cat food, treats, toys and pedicures. 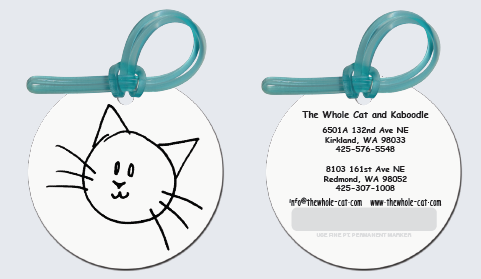 Nancy is a customer of Lasting Impressions for signature cat carrier luggage tags. Nancy encouraged networking amid a tasty array of savory appetizers and sweet treats. Attendees got acquainted, made new friends, and coordinated efforts to trade referrals and most importantly, to find homes for rescue pets. Nancy's Purrfessionals Night is an example of one of the pillars of Lasting Impressions' Face2FaceX marketing strategy: host an event. One of the best ways to build mutually beneficial business partnerships is to gather like-minded professionals at an interesting activity. The theme of the Lasting Impressions presentation was applying practical business tools to follow our hearts and live the life that supports the best within us. By being true to our dreams of becoming the best we are capable of, we build our capacity to serve others. The good people who gathered at the Cat Café formed a connected web of professionals dedicated to the animals in their care. I left feeling even more inspired to pursue excellence in service to others, including the animals who depend on us for their well-being. My hat is off to Nancy and her new network of business friends who are determined to help each other succeed at their important mission.